In his inaugural “State of the State” address on Feb. 12, Gov. Gavin Newsom (D) announced the state was pulling back on the scale and scope of California’s high-speed train program – abandoning plans, at least for now, to build high-speed rail routes along the coast to focus instead on finishing the already-being-built line in the state’s Central Valley, linking the cities of Merced and Bakersfield. Yet he remained committed to finishing the high-speed rail line taking shape in California’s Central Valley. 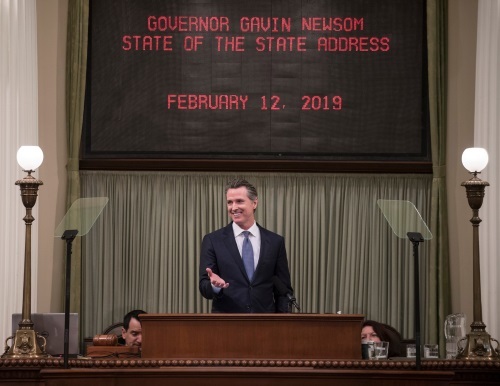 In short, he said that California will “continue our regional projects north and south” for high-speed rail and “finish Phase 1 environmental work” while pushing for more federal funding and private dollars.